A third type of grow light has appeared on the market in the past few years. Light Emitting Diode (LED) grow lights offer some unique qualities that have stirred a lot of interest among hydroponic gardeners. 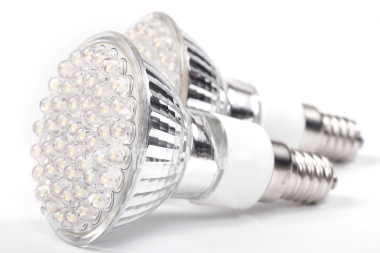 Unfortunately, the low power available from the earliest versions of LED grow lights, along with high cost per watt of output, has kept them from widespread use. With the introduction of the Kessil H150 series of LED grow lights to the marketplace, a new interest in LED grow lights is finally justified. Based on a new, patented LED technology, Kessil uses a high-density LED array, in their H150 Series of lights. Special optics make the most of the light from those arrays, packing surprising growing power in a small, self-contained unit that uses only 36 watts of electricity to produce 32 watts of usable light. The heat management system is built in, allowing maximum efficiency and long life. Here are some of the advantages that LED Grow Lighting has to offer. For further explanation, please call us or come in and talk to our experienced sales staff. ~ Self Contained: No ballasts required. Just plug and go. ~ Low Heat: LED grow lights run far cooler than other grow lights. ~ Long Life: No expensive bulbs to replace frequently. ~ Multiple Spectrum Lighting: Customize lights for special needs. ~ Use With Other Grow Lights: Add LED lighting to supplement other lights. ~ Operating Costs: Save over 50% in operating costs.